Wedding planning can be a daunting task! Especially if you’ve never been involved in any wedding planning before. 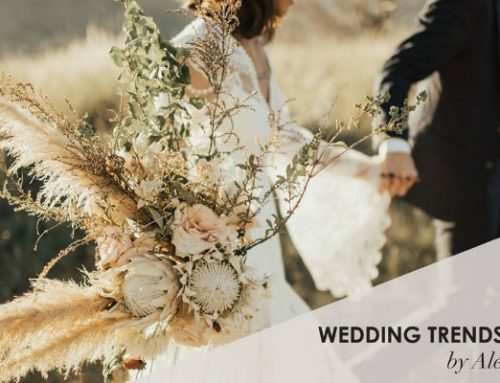 It can be tough to keep all the information straight, and even to decide where to start – that’s why we’ve set up The Ultimate Wedding Planning Guide to help you plan the wedding of your dreams. It comes with a lot of great wedding planning tips from our experts.With a handy month-by-month layout counting you down to your big day, you can make sure everything gets done with plenty of time to spare. By providing monthly targets to meet, our Complete Wedding Checklist aims to help you stagger tasks, so that you never feel overwhelmed, and tasks don’t pile up and cause you unnecessary stress. Start a wedding planning binder – this is where you’ll place all your research and planning a wedding from beginning to end. In your binder, you can plan as much and about anything you envision for your perfect wedding. Make a long list for potential guests and put it in your wedding binder. Split the list into an ‘A’ list and the ‘B’ list. You can always refine as time passes. Draw up a budget. This can be a daunting task, but working with the list above, allocate amounts for each section so that you can see what you are prepared to spend and what the total will be. A excel document is great so that you can keep track of the budgted amount and then the actual quoted amount. Find a system that works for you to be most productive (here is a few great Productivity tips). By doing so you will get more things done in less time and would also have less stress later in the whole wedding planning process. Figure out what wedding priorities are the most important to you and focus on getting them done first so that is out of the way. Choosing a wedding date. Try to at least decide on three preliminary wedding dates at first to be more flexible. Have an engagement party to celebrate with your closest friends and family. Create a wedding website to capture all the moments from start to end and be able to share it with the world. This will also help with management of guests and keeping them informed which means less work for you. We love using Appycouple! Now that you are engaged, you probably have a rock on your finger, so it’s important to insure your engagement ring as soon as you can. Better safe than sorry! Have a casual get together between the two family’s parents so they can get to know each other better, if they haven’t met each other before. Ask your friends and family who would be willing to help you plan your big day. Do this early enough so you can be sure that when you delegate duties, they would be able to help with the planning. Take time to sit down with your fiancé when it gets quieter to discuss the whole wedding planning process. You should make sure that you are both on the same page with all planning activities and know what is expected for the next 12 months. Consider doing research for wedding insurance options to avoid losing any money when something go wrong with items and professionals you already paid for. With all this in mind, try to create and stick to your wedding checklist timeline. This will help you keep on track and avoid unnecessary stress along the way. 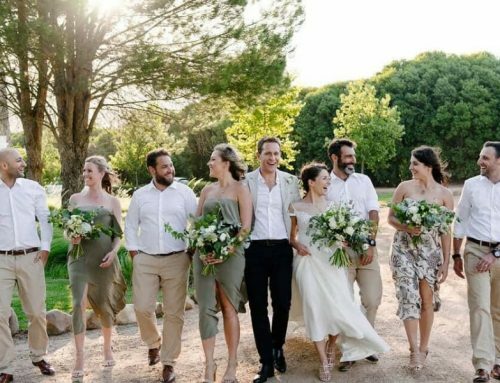 Researching the wedding party’s attire is another thing you should be doing so you can tick it off that wedding planning checklist. 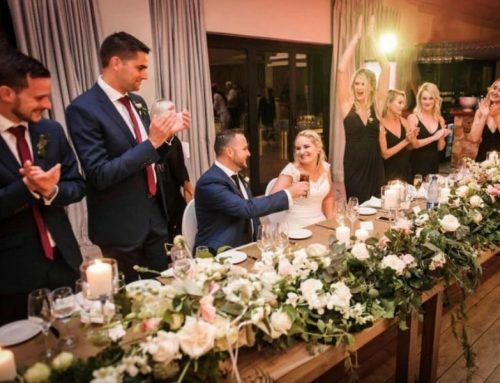 Plan a few site inspections at a few of your favourite wedding venues (example, Lanzerac Wedding Venu) for the ceremony and reception, you must reserve the venue to make sure it is available at the time of the wedding. You can always pencil book the date before you confirm. Once you have found the perfect fit, pay the deposit to confirm the date. Booking an officiant should be easy, ask friends for references or if you liked one that you saw at a previous wedding. You should try to book the officiant as early as possible and make sure they are available at the specified date. Send save the dates to all the people you would like to be at your wedding. If you are having a destination wedding or the date falls within a holiday, make sure to send save the dates early enough to your guests so they can make the necessary arrangements. You and your fiancé should both enter a fitness program to look the best you can on your wedding. Getting that body in shape takes time so it’s a good idea to get started early on. While exercise gets your body in shape and helps with stress, you should also establish a skin care and beauty routine for your skin to be in top form. Envision, research and discuss the menu you want at the wedding. These may include cocktail hour, reception dinner menu and anything during the day. Think about what entertainment to use at your wedding during and after ceremony for cocktail hour and also the reception. There are a limitless number of possibilities you can choose from. The best is to keep it practical and interesting. During your research you should have collected a number of different floral décor you liked and want to use at your wedding. Also discuss everything with your florist to get a professional viewpoint if you have hired one. Start researching accommodation for out-of-town guests, like hotels and guesthouses. This will also depend on where the wedding is held for instance a destination wedding or closer to home. Contact the different rental companies if you need to rent some things for the reception to make sure if it all fits into your budget. When you hire a vendor, make sure to get the contract in writing to avoid any problems at a later stage. If you are overwhelmed, take a break for a day or two and think about your honeymoon. Traditionally, it is the groom’s job to arrange the honeymoon. When you and your fiancé decided who you would like for the wedding party, ask them if they would like to be part of your wedding party. Research wedding dresses, undergarments, lingerie, shoes and everything you plan to wear on your wedding day. Think about what wedding insurance to get for the services, vendors and rentals you are planning to use, after you researched it like mentioned above. Book a pre-marriage course for you and your fiancé. Marriage is a big step and the way to ensure a smooth transition is to go for some courses before you officially getting married. Schedule a meeting between the two families to discuss all the financial contributions from each. Here’s your to-do list 6 months before the wedding, make sure to tick them all! Hire your final photographer and videographer if you have not done this already. Book your final entertainment professionals, band or DJ, for the day. You can either pick your favourite themed entertainment or a combination different types of entertainment. Meet with your caterers to discuss the menu for each stage of the day. Start shopping for your wedding dress so you can be ready when it’s time to go for fittings or if there are things you would like to have changed by your designer. Start reserving accommodation for out-of-town guests at a guesthouse, hotel or if the venue includes accommodation for the guests make sure it is reserved for that weekend. Brainstorm and think about how your wedding invitations should look and how it will fit in and complement your wedding theme. It’s good to start planning your honeymoon early so you can make the necessary bookings and reservations. Make sure to also research different options and take note of the budgeting component. Also get your passports ready early for the honeymoon if you decide to go out of the country. Go to the shops to start shopping for the wedding party attire. This includes both the bride and groom’s wedding party. Meet the officiant and plan the ceremony. Go through every detail so the officiant can start preparing early for if there are things to be changed further down the line. If you are signing the registar on the day of the wedding, ensure that all your paper work is in order. Your marriage officiant will be able to advise on this. Reserve structural and electrical necessities depending on your wedding. This is dependant on if the wedding is going to be indoors or outdoors. Start arranging transportation for the wedding, like the bride’s car. Transportation would usually include getting to the ceremony, then to the reception and after the wedding. Sit down and create a wedding day timeline so you can know when things happen to keep it all organized. This can also be sent to your service providers closer to the wedding. Start thinking about hair and make-up styles. Talk with your hair stylist and make-up artist to get a better idea for what would fit you best. A trial of your hair and make-up can be arranged with them. Reserve rentals that you researched earlier if you decided to use it for the wedding. Choose your wedding cake style and schedule tastings with the cake designer. Go over the details of your bridal shower and bachelorette with your maid of honour. Make an engagement announcement in your local newspaper (optional). It’s time to take your engagement photos with your photographer and get some beautiful shots for the wedding album. Book the rehearsal dinner and the venue where you will have it. Check up on how your wedding invitations are coming along. Select which wedding cake to have and order the wedding cake so the cake designer can go ahead with the preparations. Send the guest list to the host your shower, usually maid of honour, so they can have an idea of who to invite to these events. Go shopping for wedding shoes and have your first dress fitting with your dress maker. Choose your wedding music, make a list of the styles of music you would like to have for the wedding ceremony, cocktail hour, reception and dancing. Decide with your florist which flower decorations to use for all the venues that need to be decorated. The ceremony, reception and other areas that will be part of the wedding. At this stage you can start to book your honeymoon flights and accommodation. Also get the bookings for your wedding night in order. Plan welcome baskets for all the out-of-town guests so they can feel welcome when getting to the guesthouse or hotel they will be staying (optional). Finalize your guest list to get the final headcount number. Now you would know exactly how much the budget would be regarding the number of guests. Create a rehearsal dinner guest list. A rehearsal dinner is for the parents, wedding party and the officiant and is held to thank everyone for their support. Both the bride and groom should together attend pre-marriage counselling sessions to build a strong relationship foundation before getting married. It’s time to go shopping for wedding rings with your fiancé. You should also choose and order the wedding bands if you have found what you would like. Finalize the timeline for the reception and how the wedding would go from start to finish. In order to say thank you to all the people that are helping you in planning your wedding, you could buy gifts for the wedding party, the groom and the parents if you would like. Start thinking about what would make creative wedding favours. Wedding favours are traditionally a small gift or gesture of appreciation to the guests attending the wedding event and custom wedding favours are also a nice way to do it. Be creative! Decide what the groom’s attire will be and purchase it or reserve it if you are renting it. Finalize and purchase the bridesmaid’s attire. Purchase your undergarments and lingerie you are going to wear on the wedding day. Keep working with the wedding designer to find the perfect theme and décor for the wedding. Decide on prayers, readings, and music to include in the order of service booklets and programs. These are traditionally handed out at the church. Create a RSVP spreadsheet and get all the guest’s email addresses to keep track of everything. It’s time to finalize the menu and flowers for the ceremony, cocktail hour and reception. That is another thing off the wedding planning checklist you can relax about and focus on other tasks that needs to be completed. When you had time to decide what to use as wedding favours, now would be a good time to order them. It gives enough time to create it, depending on what you chose in the end. Who is giving the toasts at the reception? When and in what order are they going to give the toasts? Make a list of people who will give toasts and finalize the order. Every vendor working to make your day special should know what is happening when for them to be at the top of their game. It is a good idea to send the event schedule to all the vendors that you hired. Things will be much more organized that way. You should see to it that all the arrangements for the honeymoon plans are being finalized and make sure all the needed documentation is in order. The seating for the ceremony and reception will depend on the venues you will be using. Go to the venue again and start planning the ceremony and reception seating. Do a few experiments with the hair stylist and your veil to get the best combination. When you have the menus all thought out and know what they will be, you can go ahead and order the food menu cards which you usually put on the tables at the reception. Attend your bridal shower and make sure to enjoy every moment. This will also depend on when the maid of honour scheduled the bridal shower. If you want to use your own unique wedding vows for the ceremony, you can start writing your vows so you can also start practicing them when you have time to do so. Study up on ethnic customs or traditions you might include, this is only necessary if it is really needed. Keep working with your cake designer to finalize the cake concept. Discuss the ceremony details with the officiant and wedding coordinator to give a better idea of how the ceremony will proceed on the day. It’s time to finalize the design concepts, styles and themes of the wedding with the decorations designer. This will be for all the venues from the ceremony to the reception venue. Don’t forget about one of the most important items, your wedding dress. Have your second dress fitting session and make the necessary changes or alterations as needed. Connect with all the vendors to make sure everything is in order and to get answers to all the questions you may still want to ask. Meet with your photographer to discuss how the photography will work before and during the wedding proceedings. Make sure to discuss any specific shots, locations and other areas you might want to include in the album. Review the music list you earlier created with the band or DJ so you can add or remove songs from the list if you want to. Now it’s time to send out your wedding invitations, 6-8 weeks is usually the best time to do this. It give the guests enough time to receive and respond to your invitation. If you like to submit a newspaper announcement about the wedding, now a good time to do it. Time for the bachelorette and bachelors parties! Enjoy it with your close friends and family! Remember to keep your RSVP spreadsheet up to date as the first guests start to reply to your invitations and make changes where needed. Finalize the reception seating At this point you will have a good idea how the placements will look at the venue. Finalize the music with the musicians after you updated your song list preferences. You can also give the musicians general guidelines to the kind of music you want at the different times during the day. This time you will have fitting sessions for the wedding party and parents to finalize all the little details. Create a honeymoon itinerary for the family who will stay at home. This should basically include the places you will visit with a general timeline. Decide “something old, something new, something borrowed and something blue”. This is an old English tradition at weddings. Something old represent continuity, something new represents prosperity and good fortune, something borrowed symbolizes borrowed happiness and something blue stands for purity, love, and fidelity. Book a spa day with beauty treatments for you and your bridesmaids so you have time to relax. You can consider taking dance lessons with your fiancé and get that first dance perfect, this is also a great way to break in your wedding shoes. Write thank-you cards for shower gifts and early wedding gifts that you may have received during the last few months. Purchase the wedding rings and make sure everything is as you asked for, especially if you had the rings engraved. Plan a bridesmaids “tea” and bachelor’s dinner to thank everyone for their support and hard work planning the wedding (optional). Shop for a “trousseau”. Trousseau may refer to the outfit of a bride, including the wedding dress or similar clothing. 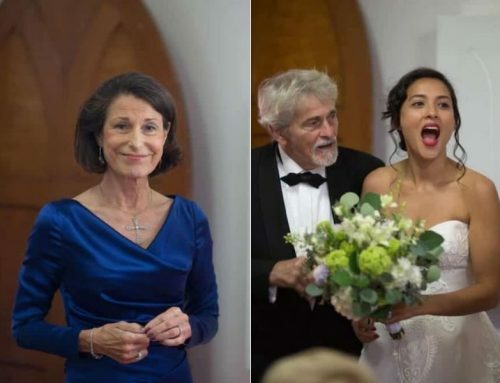 This is an old tradition from French weddings in the real early days (optional). Arrange for baby sitters to baby sit children at the wedding if you decide include them in your wedding. Try to get as many payments done as you can to the vendors, rentals and everyone that need to be paid for their services. Relax a little and think about your first dance song. The invitations are sent so you need to keep track of all the RSVP’s with your spreadsheet. You can also make sure if everyone received their invitation and follow up on RSVPs. Make sure to also send out your rehearsal dinner invitations to the wedding party, both family’s parents and the officiant. Have your last dress fitting session with the dress designer and see that everything is perfect as it should be. Stock the bar and make sure you have enough refreshments for the number of guests you invited. Continue to make the final payments to the vendors if you still haven’t paid some. Confirm times with your hair and make-up stylists again so they will ready at the right time. You can email and print the directions for the drivers who will drive the vehicles on the day to make it easier for them to know where and when to do what. Just quickly confirm the honeymoon reservations to see if all the arrangements are set. It’s time to start your honeymoon packing. It will depend on where you are going and what you will need. Make a list and start packing what you can. Pick-up the wedding rings if you had something changed, like the size on the engravings. Schedule a meeting to ensure the wedding party is ready and know exactly what their roles and duties are for the weeks to come. Check in with the vendors and make any last minute changes if necessary. Create and order the wedding programs for the ceremony that you can handout to the guests. Remember to order the welcome baskets for the out-of-town guests. Finalize the vows and readings with the officiant. Finalize the photo shot list with the photographer. If you are moving after the wedding, make sure to arrange the transport for all your things to be moved when needed. Make sure what your final headcount is for the wedding and report it to your caterer. Be sure to make arrangements with someone to look after your pets and watering the plants (Simple Water Saving Tips For The Garden) while you are away on your honeymoon. Get your hair cut and coloured for the final time before the wedding. Do it now so it can look natural and not freshly cut at the day of the wedding. Delegate the wedding duties to the wedding party, friends and family members who are willing to help. Arrange for someone to return any rentals to the rental companies after the wedding. Remember to go pickup your seating charts and place cards for the reception. Put together a bridal emergency kit for the wedding day. This basically include those just-in-case items for small emergencies throughout the day. Keep your eye on the weather conditions and make sure that the venue has contingency plans for any unexpected events that may occur during the day. It is growing more popular for the bride to also give a toast at the reception, so you can compose the reception toast now if you like. Remember to break in your wedding shoes if you haven’t already. Reconfirm the arrival times with all the vendors and make sure they are all set. You can send a timeline to the wedding party so they know what is happening when. Pick up your wedding dress, veil and everything else you’re going to wear. Check in one last time with your photographer. Go to that spa treatment you booked earlier with your wedding party. When the welcome baskets are ready, assemble and distribute them for the guests that is from out-of-town. Coordinate with all vendors to have so they can work together to see to all the tasks that needs to be done. It’s also a good idea to get them to meet each other before the day of the wedding. Get the groom ready for action, by getting him a haircut and make sure his comfortable with all the arrangements. Also make sure that the groom and his groomsmen’s clothes are ready. It is also a good idea to always have a backup plan for transportation, if something went wrong with the original driver. Clean your engagement ring so it can shine like it’s brand new. Confirm the rehearsal dinner times with the wedding party and with both families. Leave the honeymoon itinerary with someone. Organize the guest book and plan how it’s going to work. This is the book that go around so the guests can give their congratulations to the new married couple. 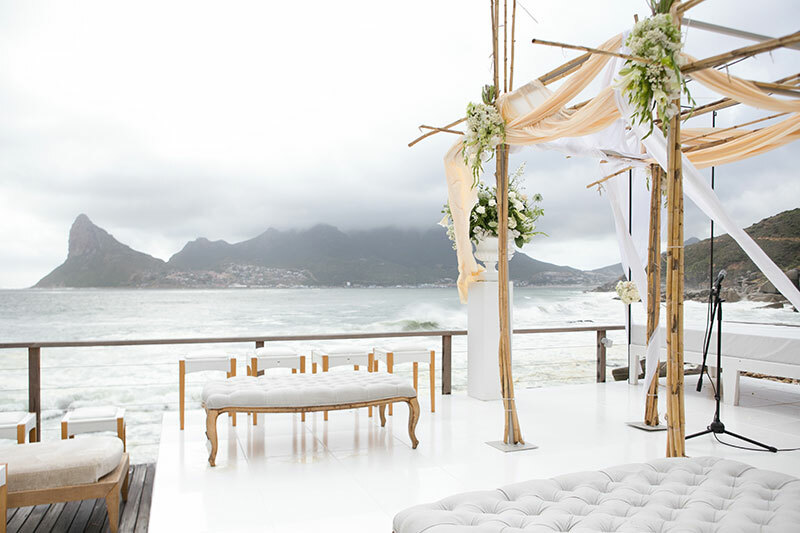 Arrange any special seating at the ceremony and reception venue if it may be needed. This may be someone with a wheelchair for instance. Get someone to organize and take control of the wedding gifts during the day of the wedding. Confirm that all the welcome baskets for the out-of-town guests are delivered as it should be. Go and get that manicure, pedicure and massage to get you ready for the big day. Make sure the wedding cake is on track to be delivered to the reception venue. Bring all the wedding day items that you will need at the ceremony to the site to get everything perfect beforehand. Rehearse the wedding ceremony like it’s the big day so that the proceedings would run smoothly on your actual wedding day. It is great to practise it at the same time the ceremony is planned for so that you can see shade and sun. After the ceremony rehearsal, it’s time for the rehearsal dinner and make sure you enjoy it. Present your rehearsal dinner attendants with gifts to show gratitude for all the support they gave you this last 12 months. Decide who will sign your marriage license as witnesses after the ceremony. Get all your honeymoon bags and luggage where it needs to go. Quickly go over all the honeymoon plans, tickets, itinerary, passports, and other documents needed. Make sure to put everything in one place. Lay out everything you’ll wear before you go to bed, this would make things more organized. Get to bed at a reasonable hour so you have loads of energy to fully enjoy your big day. Eat a good breakfast to get the energy you need for the day. Allow yourself plenty of time to get ready. Give your wedding rings to the best man. Assign a family member or attendant to be the photographer’s contact to show who’s who. Show up on time for your hair and make-up sessions or they come to you make sure they are well on time. Get dressed and don’t forget anything. Take a moment for yourself before the ceremony. Relax, smile and take in every little detailed moment of the wedding day that you spent so long planning. Do your rounds to greet and thank every guest that made it to the wedding. Write thank-you cards for all the gifts you received and the vendors that were especially helpful on the day. Pay all the remaining balances to the vendors. Make arrangements to get your wedding dress cleaned so you can preserve it for the years to come. Officially change your last name. Ensure all the rentals are returned. Keep in touch with the photographer and videographer for the creation of wedding albums and videos. What are You Waiting For, Start Planning Today! At the end of the day there is no right or wrong way to wed the love of your life! Whether you’ve planned a massive wedding weekend bonanza for hundreds of guests from 4 continents, or planned a low-key wedding at home for only your closest friends and family, we hope that this comprehensive wedding planning guide has been, or will be, of great use to you during this exciting time in your life! Here’s wishing you all the best with your wedding planning, and many happy years of married life to come!